But the Butter Chicken was the most surprising highlight of all. 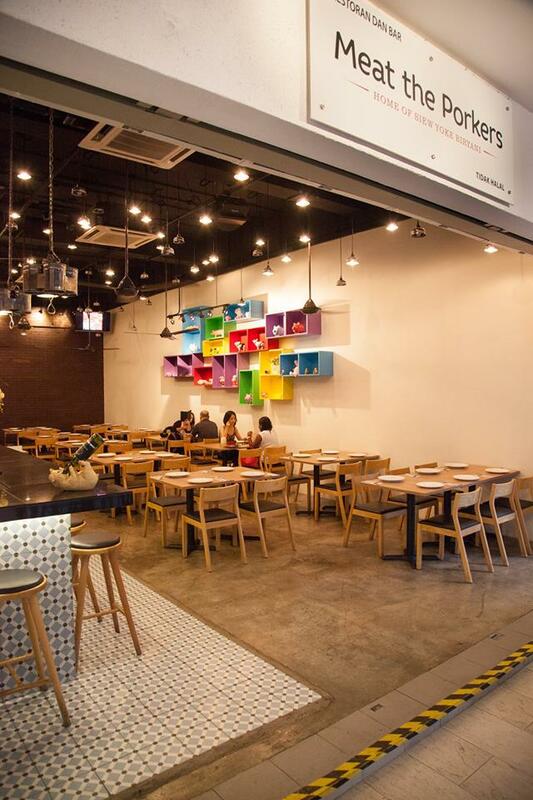 Priding themselves as the first Indian restaurant in Asia (yep, not just in Malaysia!) 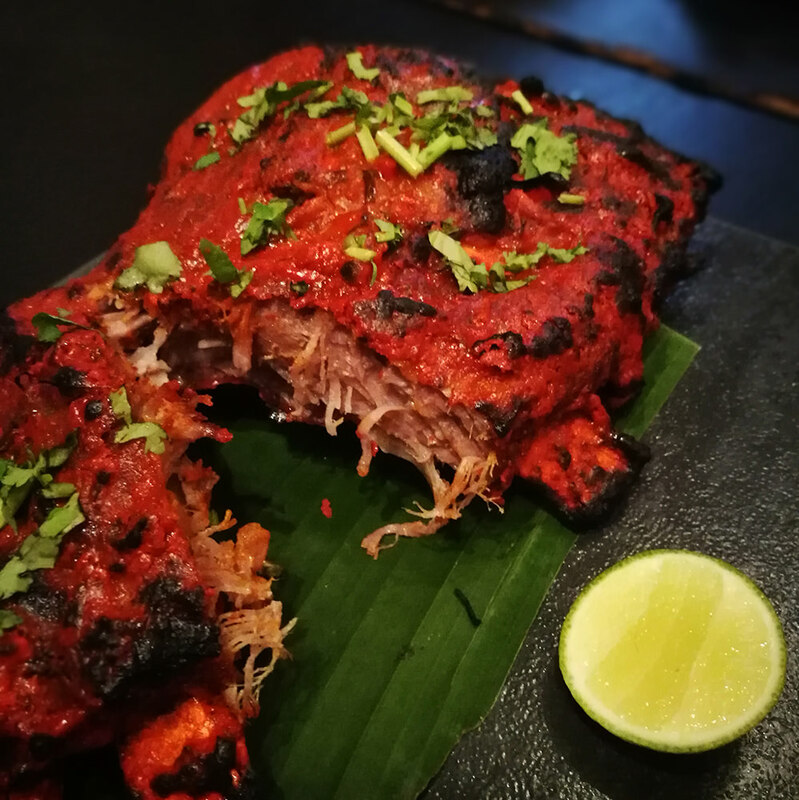 to serve pork-based North Indian cuisine, Meat The Porkers recently celebrated its first anniversary and has amassed quite a following with their porky offerings. In fact, the restaurant's Siew Yoke Biryani previously made our Top 10 list of porky local dishes in Klang Valley. 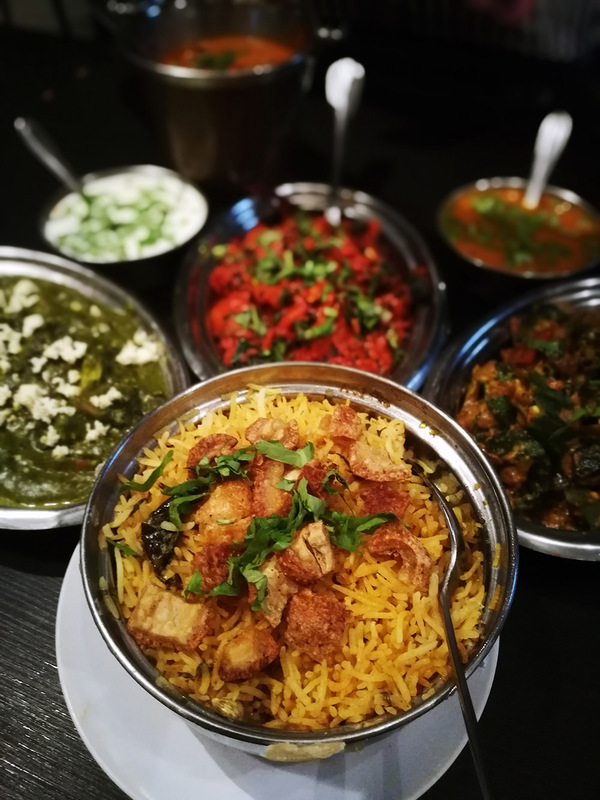 Clockwise, from middle: Siew Yoke Biryani, Palak Paneer, Pork 65 Masala, and Bindhi Masala. Naturally, our first instinct was to find out how they came up with the idea of combining siew yoke (roasted pork belly), a Chinese delicacy, with biryani, an Indian staple. Turns out, co-founder Herukh - who also runs Fierce Curry House and Fiercer in Bangsar with his wife Aahana - decided to try combining both dishes a few years ago as a side home-based project. 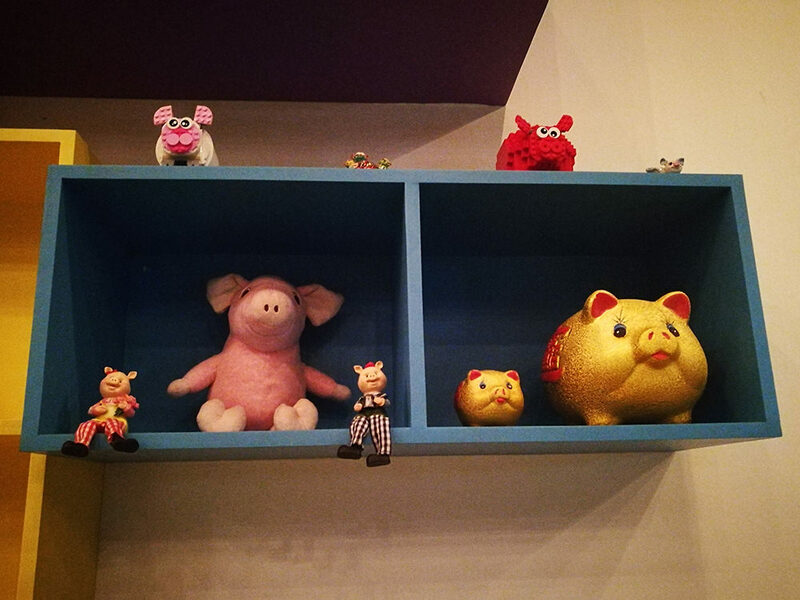 However, they soon decided to open a porky Indian restaurant instead because too many people were dropping by their home to pick up their orders. With some help from their butcher and a lot of trial and error, Herukh revealed that the rest of the menu took awhile to develop as "no one has really done porky Indian dishes before". 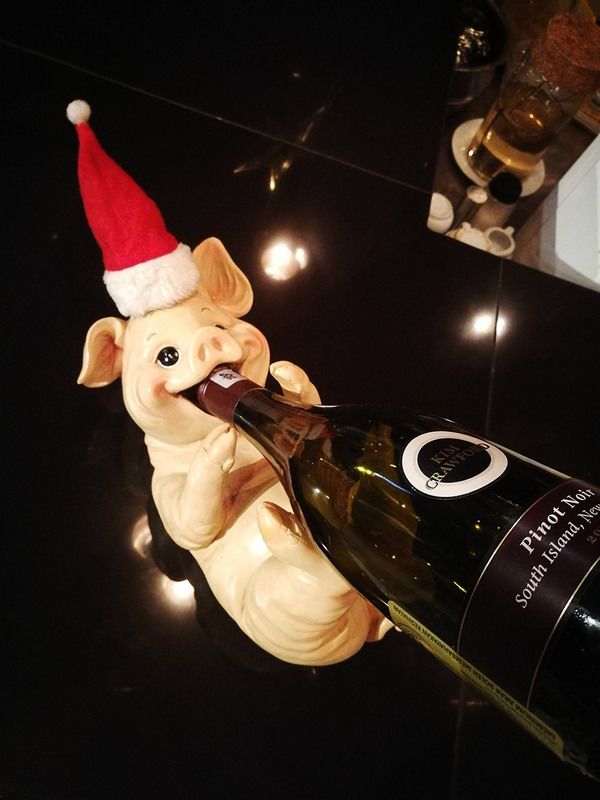 In fact, they were still refining the dishes when the restaurant was being renovated and even "specifically asked for contractors who eat pork" to act as tasters! 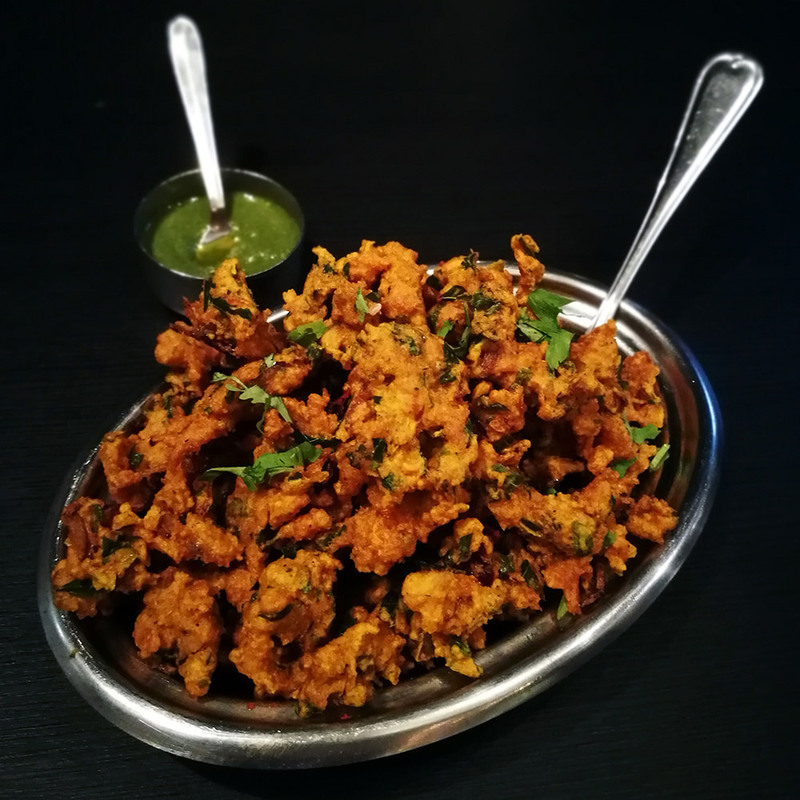 Served with mint dipping sauce, the Pork Pakora - boneless pork bits deep-fried in batter - is perfect to snack on as you wait for your food to arrive. 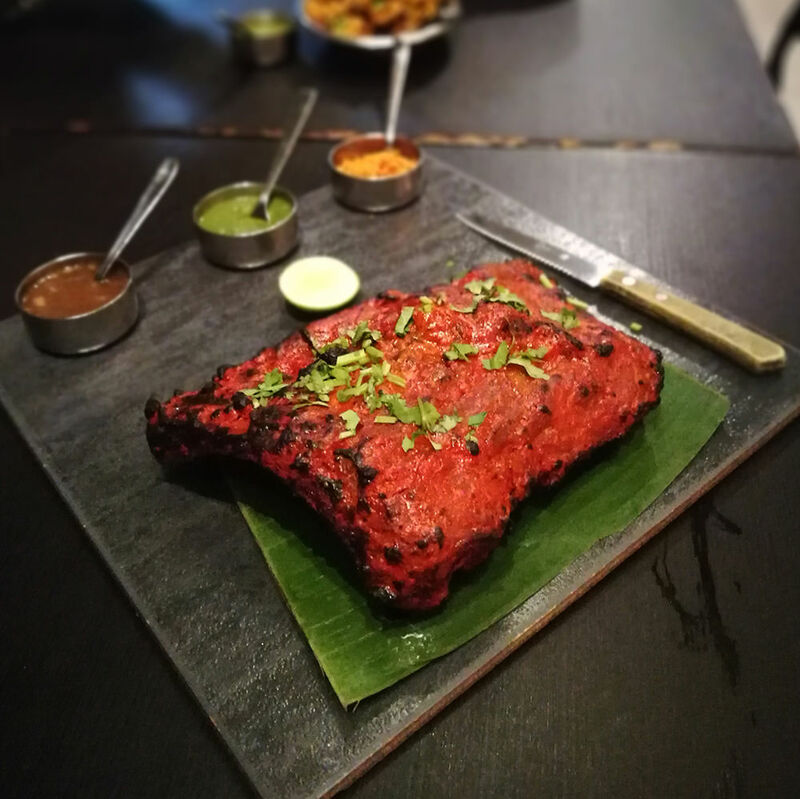 Though we didn't quite know what to expect at first, we were pleasantly surprised to find that the tandoori spices truly complements the delightfully succulent meat that slips right off the bone. Herukh recommends eating it on its own first, before dressing a second and third helping with the BBQ sauce and mint sauce respectively with some pol sambol (shredded coconut folded into chilli powder and lime) on top. The Tandoori Pork Ribs make another appearance, this time in shredded form, topped with pico de gallo, a sprinkling of chaat masala, and dressed in assam jawa mint chutney sauce. 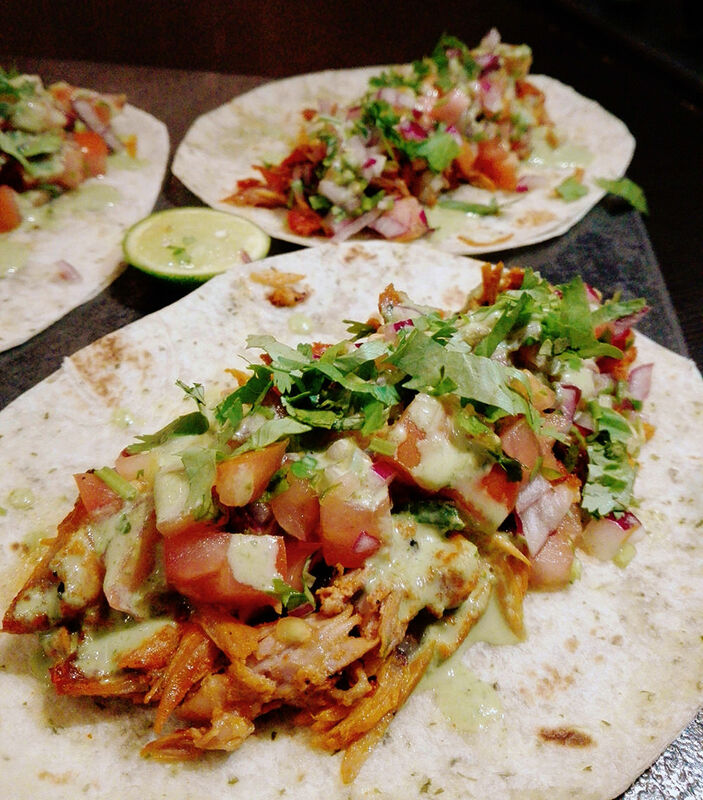 Though it can get a little messy, we absolutely love how the refreshing salsa and mint chutney sauce balanced out the strong spices in the meat. 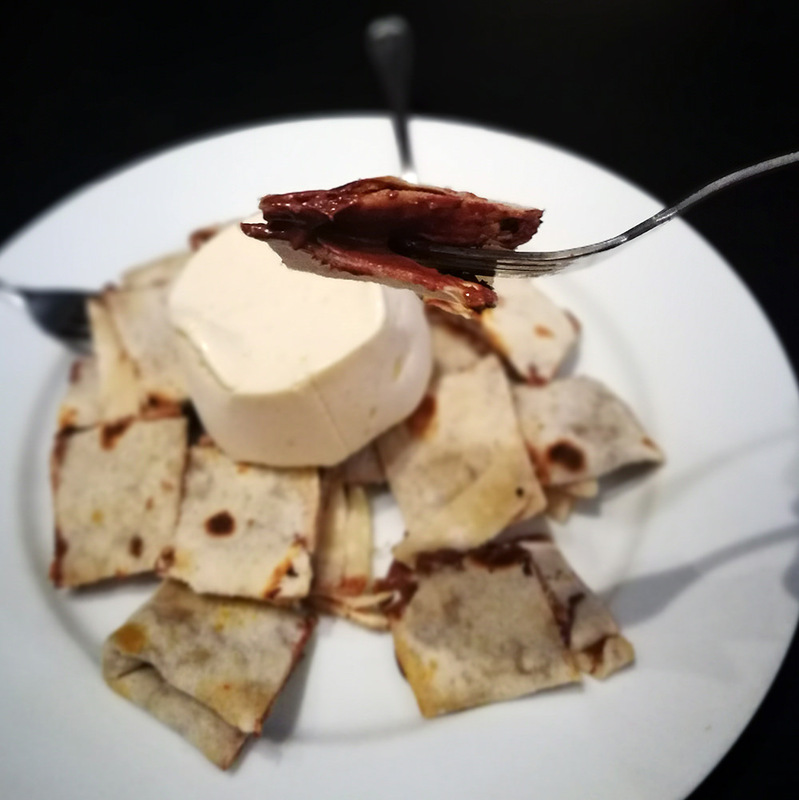 We've never had cheese naan quite like this before! 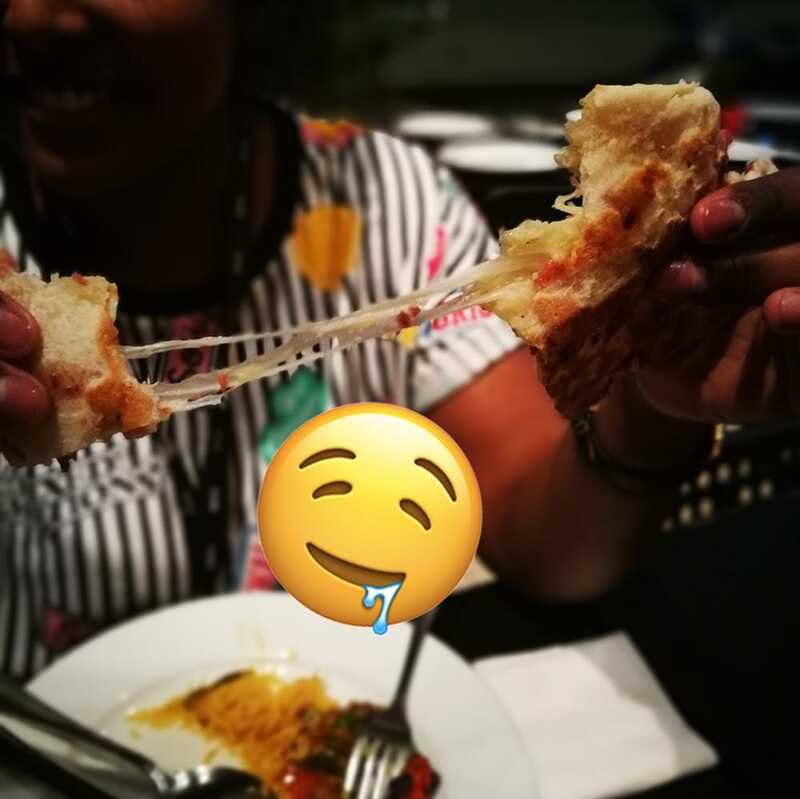 Incredibly stretchy with bacon chips stuffed within, the Bacon and Cheese Naan is good even when eaten on its own. 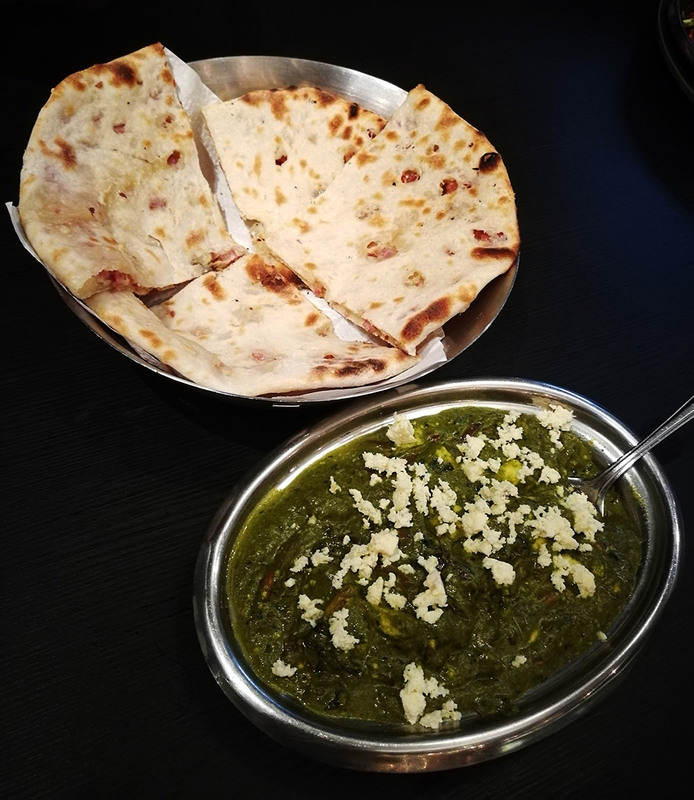 The naan also goes really well with the Palak Paneer i.e. cottage cheese cubes cooked in a creamy spinach gravy. Definitely a far cry from the 'watered-down pesto" texture we've come across one too many times! Then it's main event time! The infamous Siew Yoke Biryani truly lived up to the hype (the pork belly slices melts in your mouth), but the Butter Chicken would prove to be the best thing we've had all night. No kidding. Clockwise, from top left: Butter Chicken; Siew Yoke Biryani with raita, yoghurt, pol sambol, and pork crackling; and Pork 65 Masala. We couldn't get enough of the Butter Chicken's smooth and creamy gravy, but it's the tender chicken thigh pieces that clinched the deal for us. Slathered liberally over the biryani, and this writer could eat only that for a week and be happy. We also tried the Pork 65 Masala (fried boneless pork tossed in a yoghurt-based masala with green chillies and curry leaves) and Bindhi Masala (ladies fingers cooked in a masala with onions and spices). On that note, don't worry if you're not really a fan of pork. 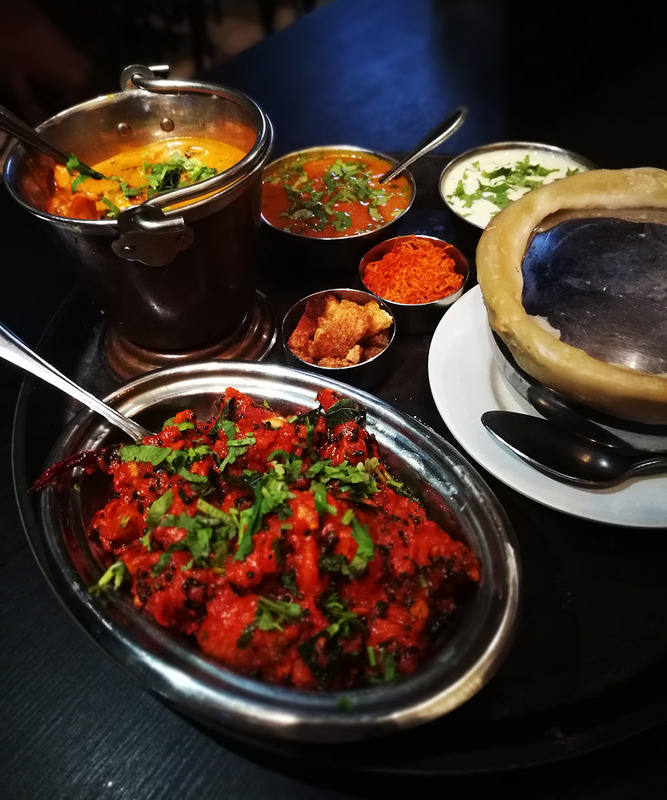 The restaurant also offers chicken, mutton, or seafood alternatives to their signature dishes such as Butter Chicken, Mutton Rogan Josh, and Tandoori Prawn Masala. Address: D1-G3-5, No. 1, Jalan Dutamas 1, Solaris Dutamas, Kuala Lumpur. 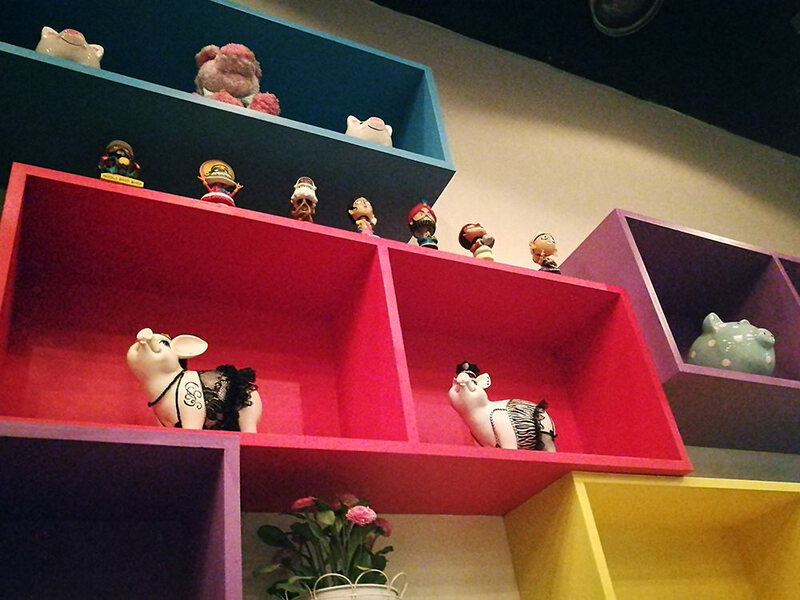 Opening Hours: 12.00pm to 3.00pm; 6.00pm to 10.00pm daily. Closed on Tuesdays.